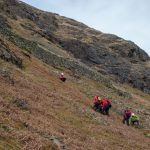 A group of 2 adults and 2 children had walked from Seathwaite up Grains Gill to Esk Hause. After turning back, one of the women slipped and injured her knee and was unable to continue. 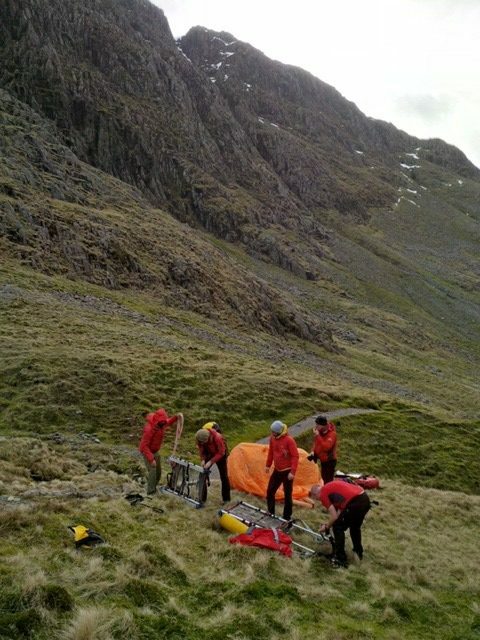 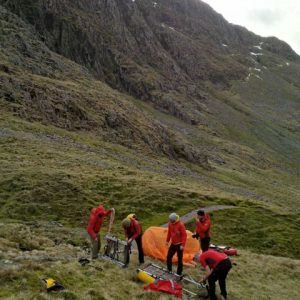 The team was called out and 2 vehicles of team members drove to Seathwaite and headed up Grains Gill. 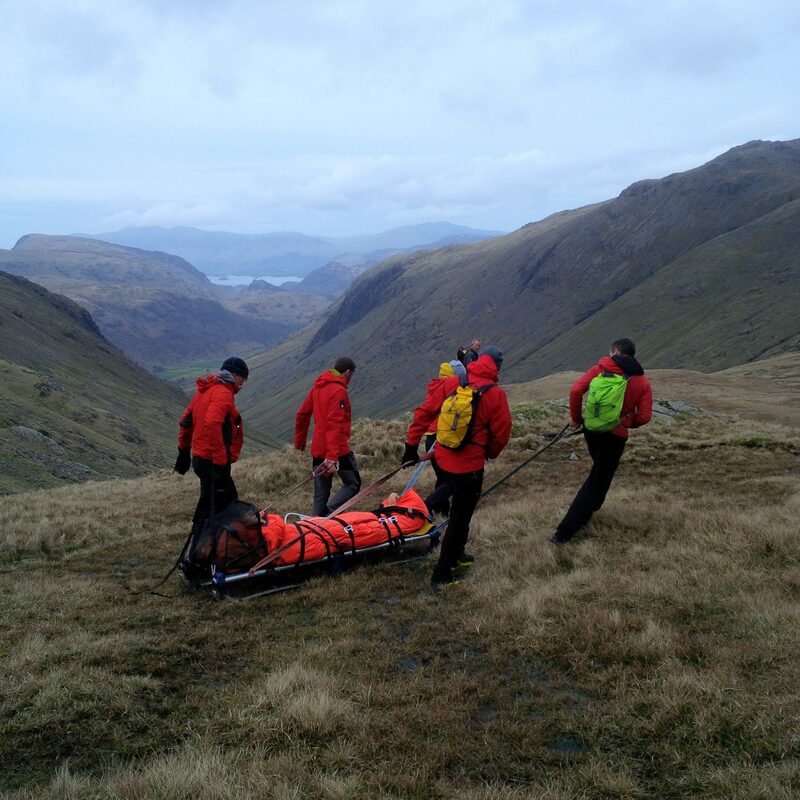 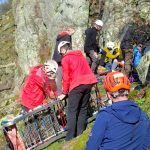 After assessment and some pain relief, the casualty was splinted and carried down on the stretcher to Seathwaite from where her friend drove her to hospital.